Watch Zaruzaur Law’s new TV spot. Pensacola personal injury lawyer and Board Certified Civil Trial Expert Joe Zarzaur is not afraid. He’s not afraid to go to trial, he’s not afraid of insurance companies, he’s not afraid of big corporations, his job is representing the families who are victim’s from someone else’s wrong doing. Joe Zarzaur is not afraid and he will stand up for the justice you deserve. 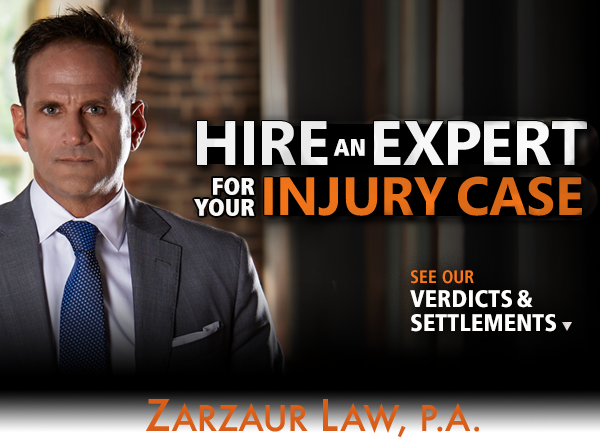 If you’ve been hurt by someone else’s reckless behavior, Joe Zarzaur is on your side.